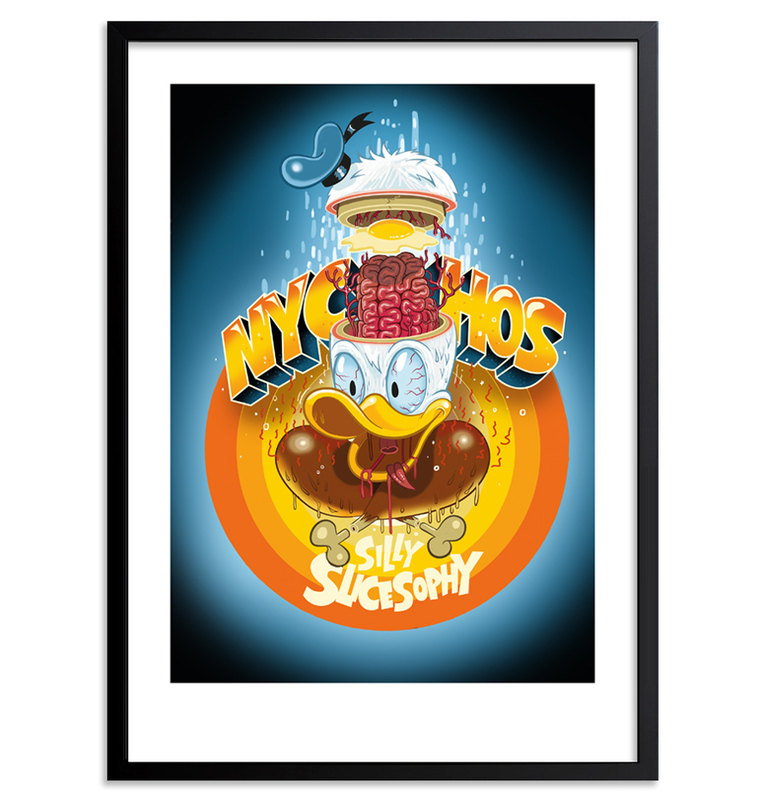 This RUN is signed, numbered and comes with a Certificate of Authenticity from Nychos and 1xRUN. 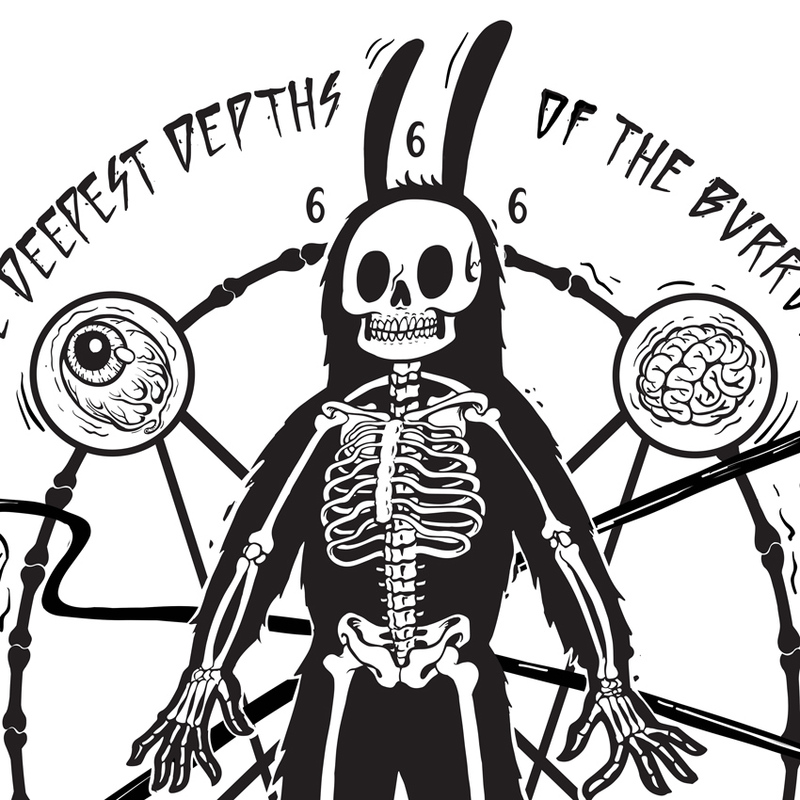 Opening July 1st at the historic Castro Theatre, 1xRUN and Rabbit Eye Movement are proud to announce the San Francisco premiere of Nychos' documentary The Deepest Depths of the Burrow. Directed by Christian Fischer the documentary features a insider's look at Nychos' ever changing world. Nychos is an illustrator, Urban Art and Graffiti artist who became known with his street concept RABBIT EYE MOVEMENT (REM) 10 years ago. 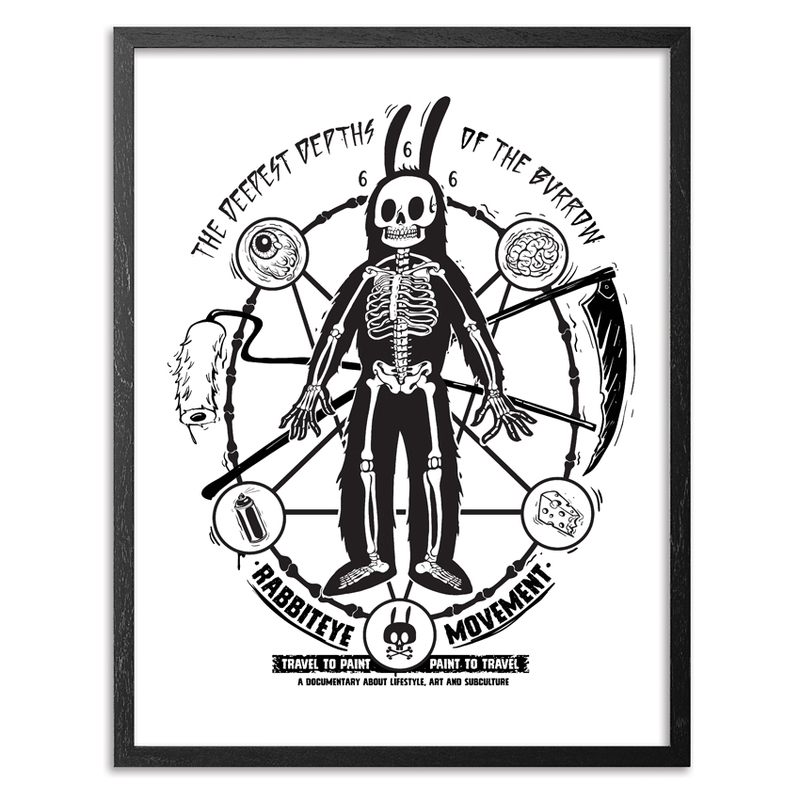 The icon of the movement is a white rabbit, which has been breeding since then and has been popping up in the streets all over the globe for the past decade. 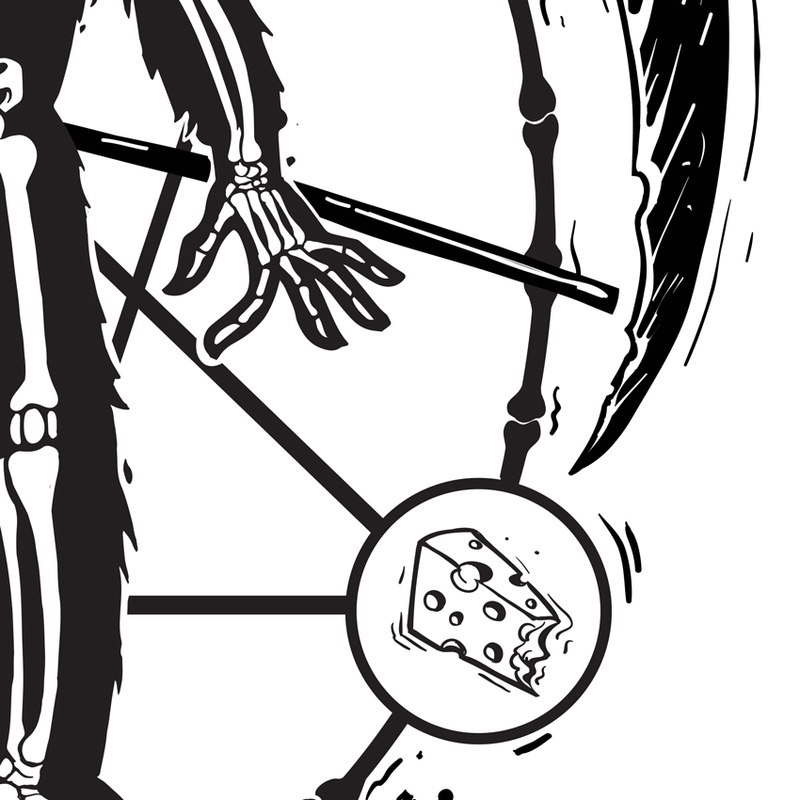 This is exactly what Nychos strives for – he travels the world to spread his art and his REM concept. Over the past years Nychos was accompanied by filmmaker Christian Fischer who recorded these journeys to create a full lenght movie. 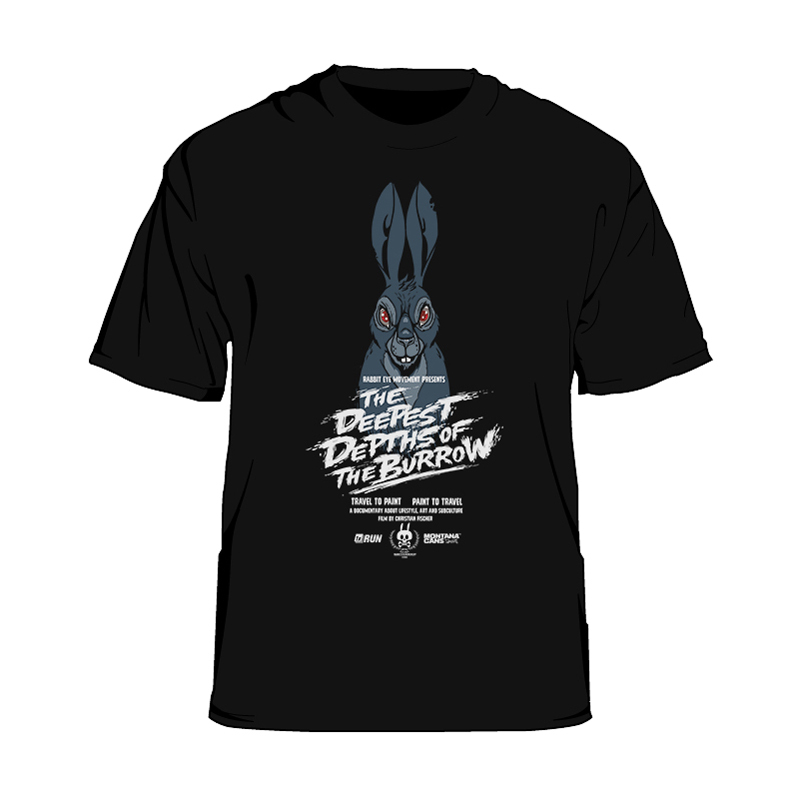 ”The Deepest Depths Of The Burrow” is a documentary about art, lifestyle and subculture. 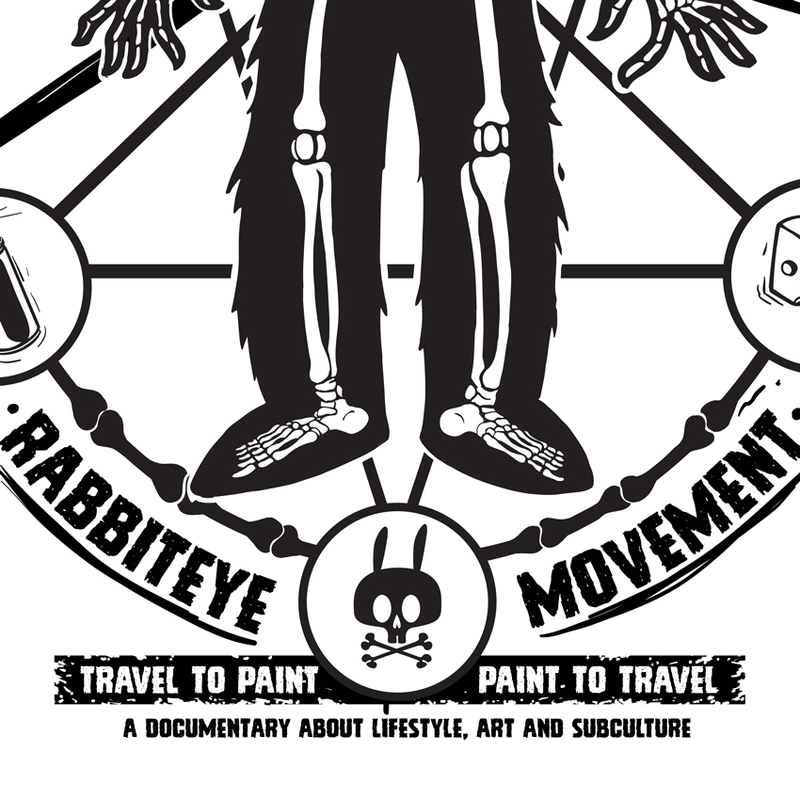 The movie captures the experiences of Nychos and other members of RABBIT EYE MOVEMENT within the last several years. Exceeding the Austrian scene, they flew from Berlin to San Francisco to Copenhagen to Hawaii and many more places to visit artists who all provide a unique view into their (street) culture – They lead Nychos through the streets of their home cities and show them the deepest depths of their burrows. ”Travel to paint, paint to travel” is the motto,which runs like a golden thread throughout the entire movie. 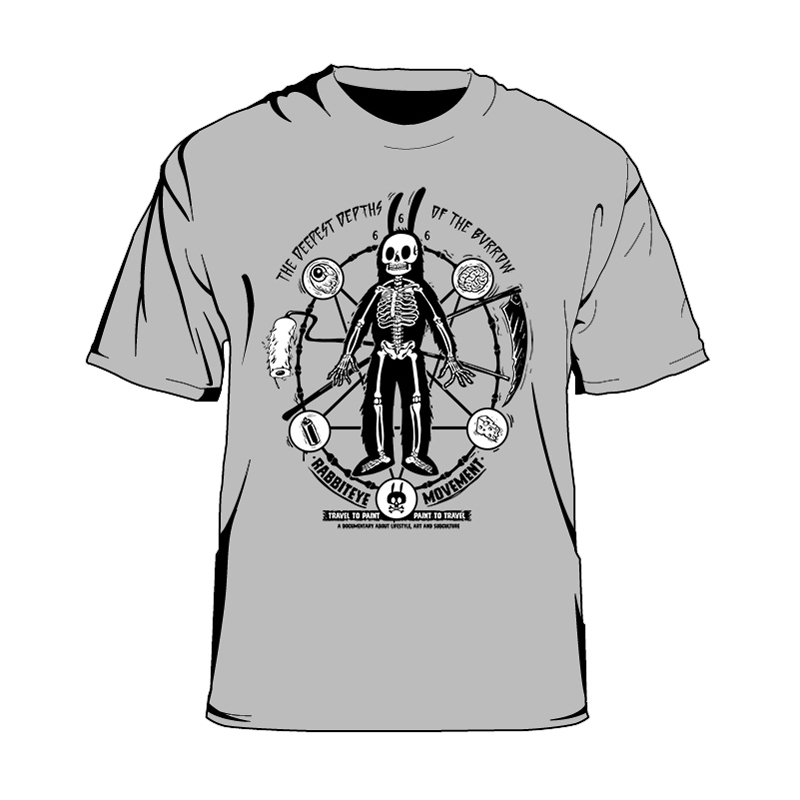 Words, which catch the spirit of RABBIT EYE MOVEMENT. ”The Deepest Depths Of The Burrow” shows images which highlight the contrasts between Urban Art and Graffiti from various angles and captures the mutual passion for Urban Art in an unique way.